The South Main Street / Martin Luther King Jr. Way Improvement Project consists of the installation of both right and left turn lanes to improve safety and accessibility in this area of the City. The project is located near the new Hotel Madison and Shenandoah Conference Center, James Madison University’s Mason Street Parking Deck, and Madison Hall improvements. A new right turn lane will be constructed along South Main Street onto eastbound MLK Jr. Way. New left turn lanes will be constructed on MLK Jr. Way onto both north and south bound Mason Street. With these improvements traffic signal improvements will also be completed, as well as the installation of a new Shared Use Path along MLK Jr. Way between South Main Street and Mason Street. Also, shown on the sketch above are improvements to East Grace Street and the South Main Street / East Grace Street intersection. These improvements are being designed and funded by JMU, but are being closely coordinated with the Public Works Department. These improvements include the addition of a left turn lane on East Grace onto South Main Street, which will result in East Grace having dual left turn lanes. Signal improvements are also planned for this intersection. Public Works awarded the construction contract to Partners Excavating Company. January 2015 – City and JMU partner in the preparation of Traffic Impact Analysis to determine the required improvements for the area. Questions? 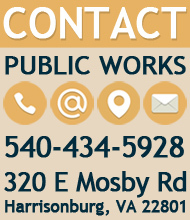 Contact Thomas Hartman, PE at Tom.Hartman@harrisonburgva.gov or 540-434-5928.